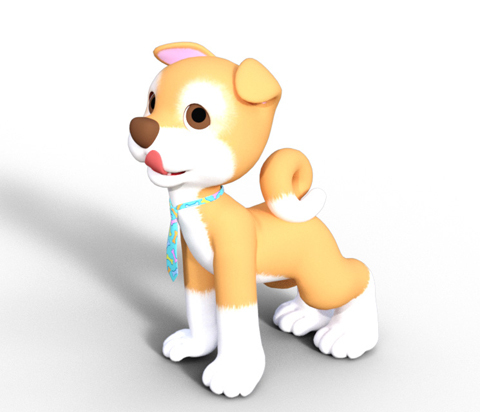 Item of the Dog motif is a lucky charm in Chinese astrology of this year. I was going to distribute a puppy figure as a Christmas present last year. But I was busy and couldn’t do it. 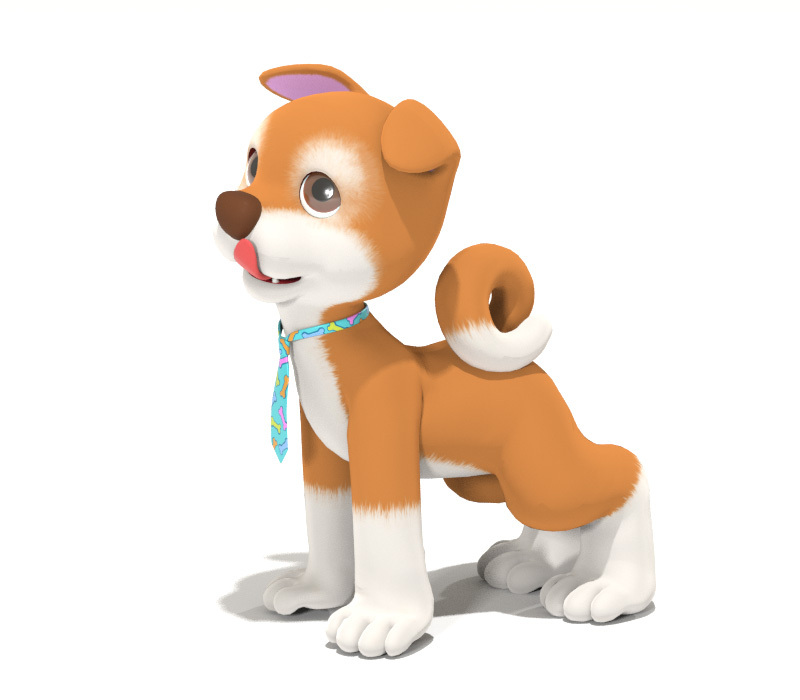 Now I show you my new toon puppy. This is POP. This time, I tried to improve the materials. My friend found a nice thread about Cycles at Renderosity’s forum, and gave me the link url. I used the traditional Velvet node of Poser for Dwarf rabbit and Bambino figure. It is all right. Superfly rendered that node. 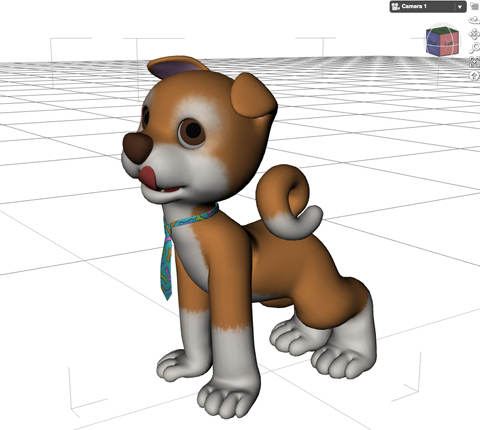 But this time, I read the above-mentioned thread, and used Cycles root for my new puppy. Because I love new things. So, there is one trouble. Pop will appear with white skin if you have set the render tub of preview window as Superfly. This is because Poser’s preview window can’t express Nodes of Cycles. 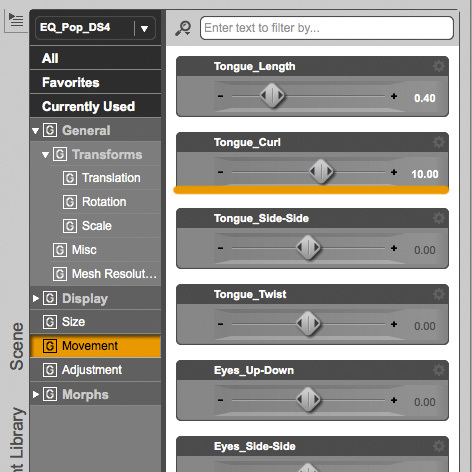 POP’s textures will appear when you chose Firefly on the Render tub. And, I tried to make the compatible files with other programs this time. I made two toon animals to cheer only Poser 11 before, though. The Dog is an angel of good luck in this year. I would like to show this off to more people. 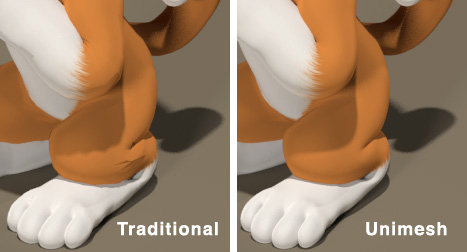 I recommend to choose “Figure > Skinning Method > Poser Unimesh”. 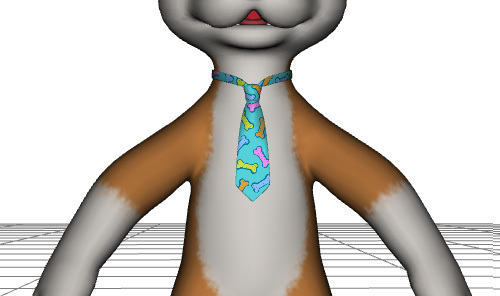 I didn’t make this a Unimesh figure this time. It is for Poser 9. But, POP isn’t a high-polygonal figure. Some distortions may appear on the surface when bending parts if it is still a Poser traditional figure. 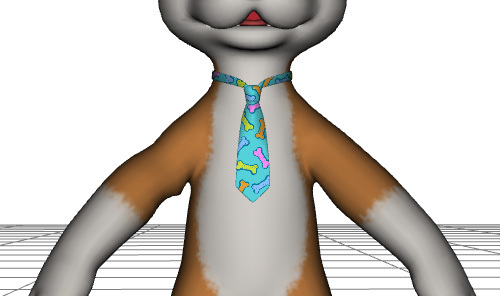 It may be solved if it is Poser Unimesh. I don’t know well about the differences from version 4 to 4.9. I use version 4.9. 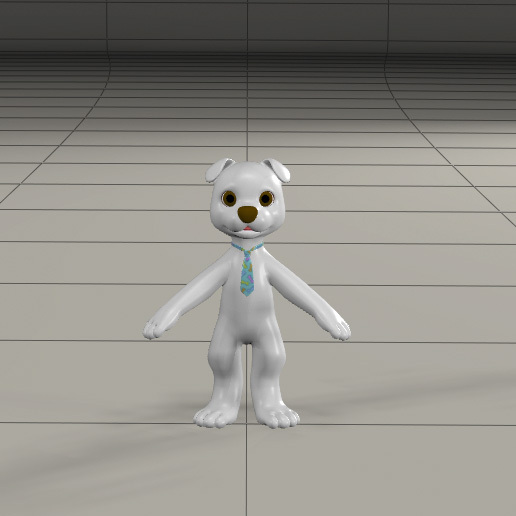 And, I have to tell you this at first, it is a figure for Poser which I made after all. This isn’t perfect with DAZ Studio. 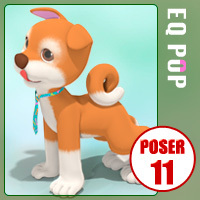 It seems a parameter of Poser 11 causes a trouble in DAZ Studio. The work of morphs is uncontrollable. I deleted the suspicious codes from POP’s CR2 file, and reduced the value of the Morphs by half. 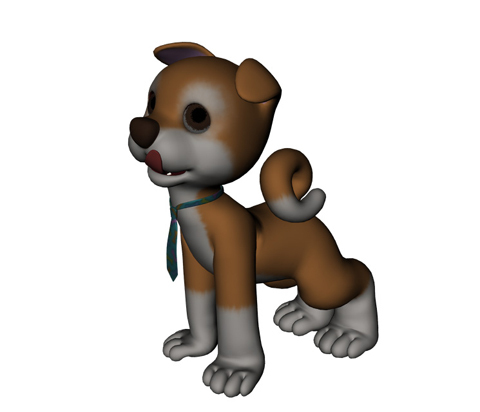 I didn’t find any changes with Poser 11 even if those codes were deleted. But the Scale Morphs are odd. POP’s full body morphs, Head_Size, Hand_Size, Foot_Size are bad. Excuse those matter, please. But, there was a matter which I couldn’t overlook. 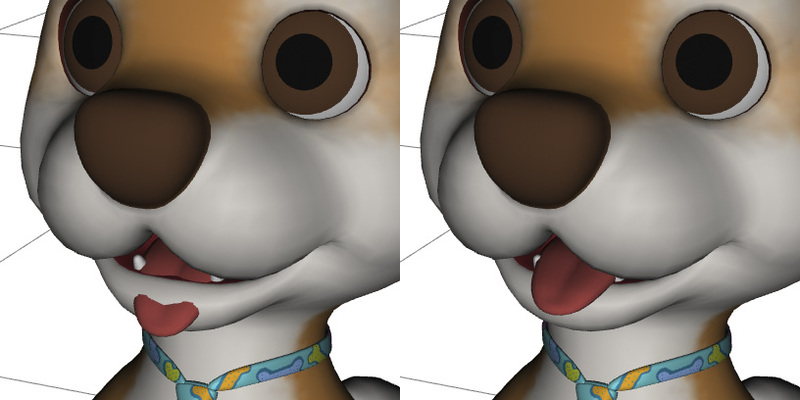 The weight-maps of POP’s tongue are bad for DAZ Studio. I didn’t convert POP to DAZ weight-maps because it will bring about more troubles. It means I will have to make a new figure. But, I can’t modify the maps without converting. 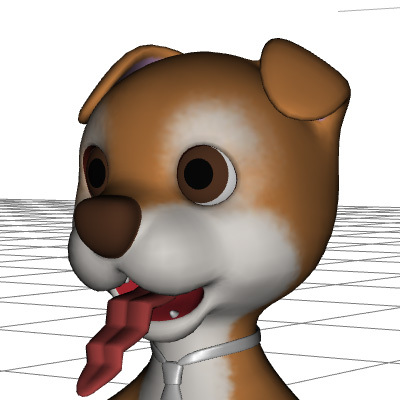 I deleted the weight-maps from POP’s tongue. Then, I gave up making POP serve a double purpose by one CR2 file. POP DS4 was made as another file. But, still POP DS4 is a Poser file. And more, POP’s sample poses will act strongly by DAZ Studio. 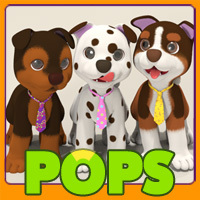 Please try to adjust the value of POP’s full body morphs. And, if you worry about POP’s low polygons, I recommend to convert POP as a SubD figure like Poser Unimesh by choosing “Edit > Figure > Geometry > Convert to SubD…”. You will see POP has not strong luster surface like my Dwarf rabbit when you loaded it first. But, POP’s materials are Poser materials. 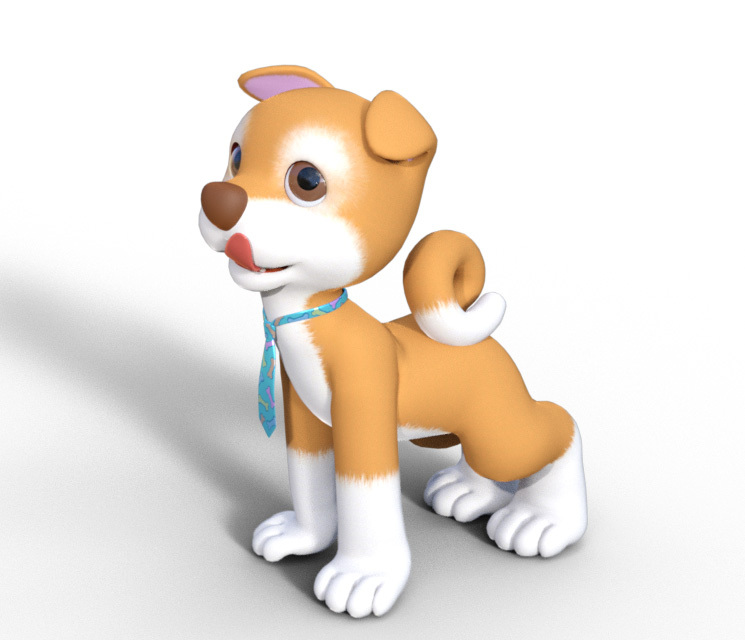 Here is a render of default POP with Iray. And, here is a render with 3DLight. On the whole this may be a moderate result like an old content. I tried to make the new MATs with DAZ Uber Shaders. POP will become dirty dark surface when you added the pose. And, it is a MAT pose for Iray render. It isn’t good for 3DLight render. 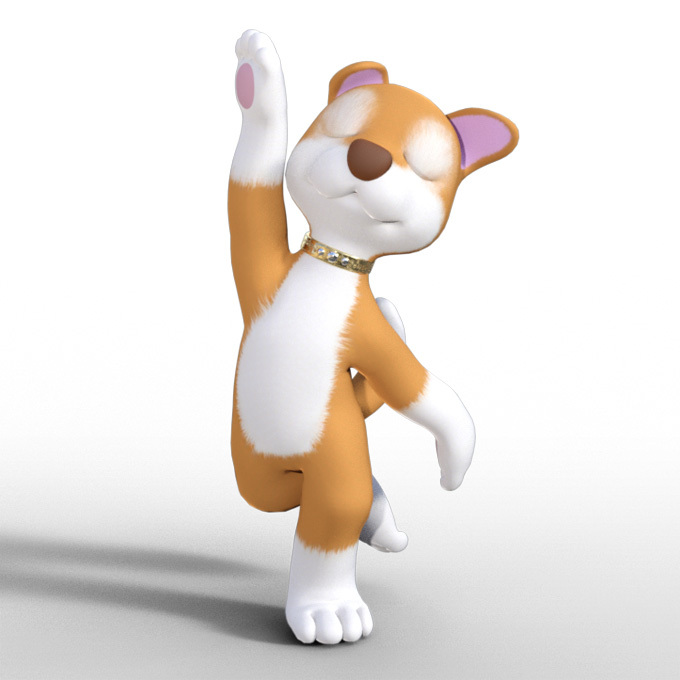 Here is a render with Iray after adding the MAT pose. It is somewhat whitish than the result of Poser. They are not the same materials after all. And, probably the difference in a light source is greatly acting. I don’t have the ability to making the same condition on both programs. They are almost default settings. Checking files is an important work. Now I uploaded this after some modifications. 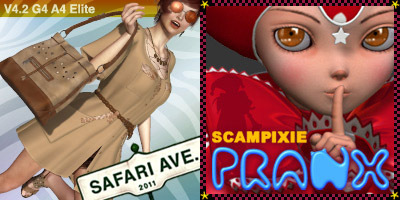 This will appear in Free Stuff Area at Renderosity within 2 or 3 days. The necklace which POP wears is a Bracelet for G3 Female of Leilana’s Xmas Freebie. He’s adorable. I enjoyed reading about the process and problems you had. It makes me enjoy a figure more when I know the amount of work put into it. Thank you, he’s so incredibly cute! I got “incredibly”. Sometimes you teach me a new modifier 🙂 Thanks! Cute, my friend – Happy New Year! I uploaded an add-on for this into Free Stuff Area yesterday. he is a cutie…thank you so much dear! You’re welcome! Thank you I think so too!